When I got my American Girl Doll, it was a new fad, a new company and there were only three dolls. Samantha, Kirstin and Molly. I got Samantha and I loved her dearly. I remember when the American Girl Magazine came out. I had a subscription and I devoured each issue when it arrived in the mail. The crafts, the games, the stories—oh I thought it was all brilliant. I still do, come to think if it. 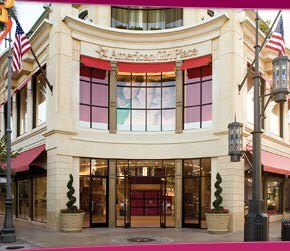 Perhaps that’s why I felt compelled to visit the American Girl Place at the Grove in West Hollywood last week with my mother. We knew it was going to be a cute store, with all the girls and their dolls and their outfits, but we never expected it to be such an operation! It was incredible! 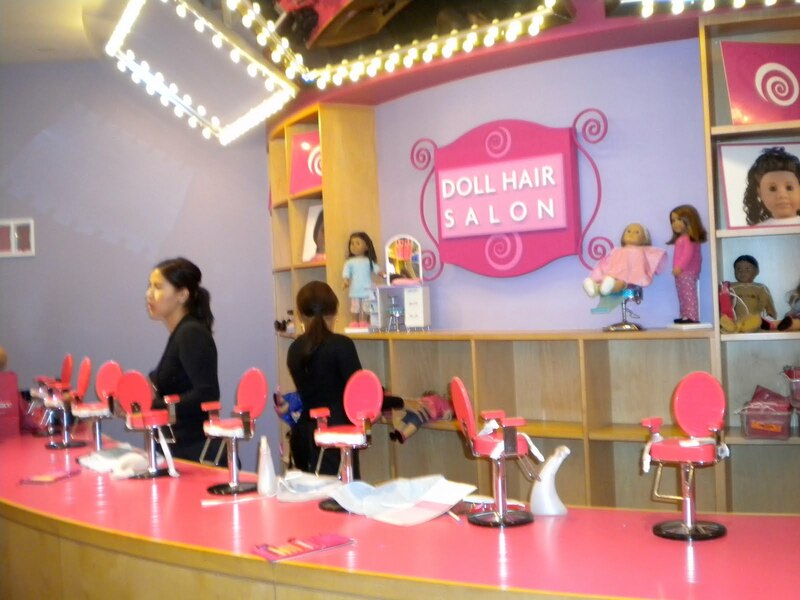 There was a hair salon for the dolls, a doll hospital, a theater, and a photo station where they put a picture of you and your doll on the cover of an issue of the magazine. Not to mention there was a full service restaurant, all pink with black and white stripes, where the dolls had little special chairs so they could sit with their owners and pretend to eat. There were also so many different dolls available to buy! 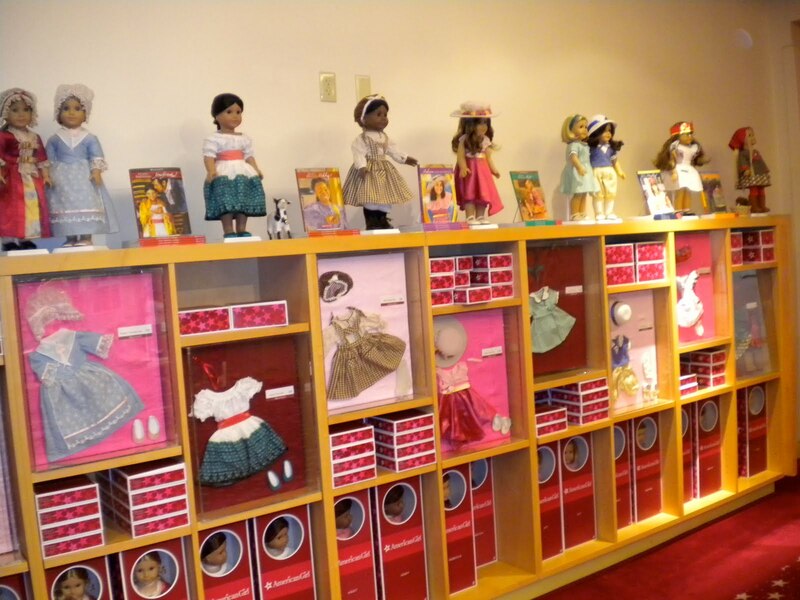 There were new dolls from different eras in American history, with the books and clothes to go along with them, and dolls you can special order so they look just like you! You pick a different combination of hair-color, eye-color and skin type and presto! You have your own little mini me. However, from what I could tell Molly is the only remaining doll from the original three. No more Kirstin, no more Samantha. I wonder if those dolls will someday be a collector’s item? Did you have an American girl doll?